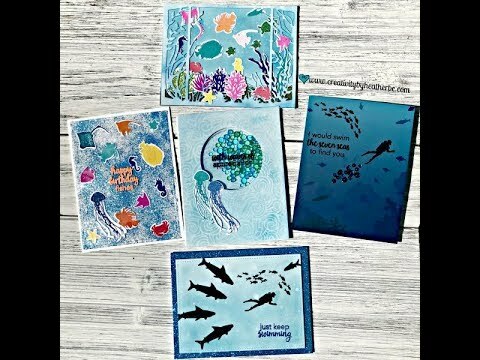 One of my favorite techniques in card making is heat embossing. It is so magical watching powder turn to a beautiful shine right before your eyes. It never gets old! 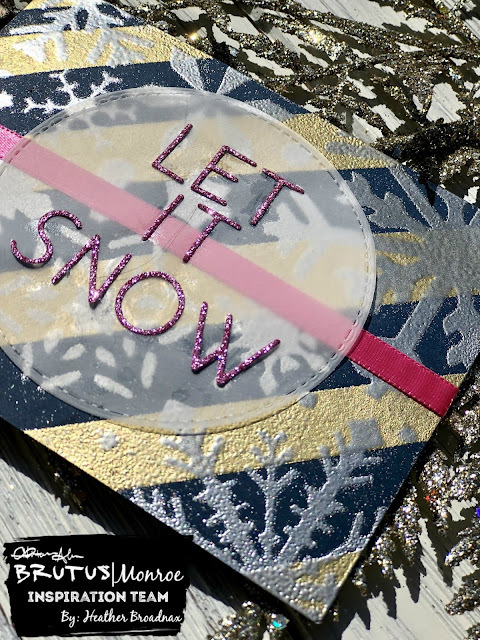 Today I am showing you how to layer embossing powders to create a beautiful snowflake background. To begin I used purple tape to create diagonal strips on a panel of Midnight cardstock. Next, I added clear embossing ink directly to the panel. 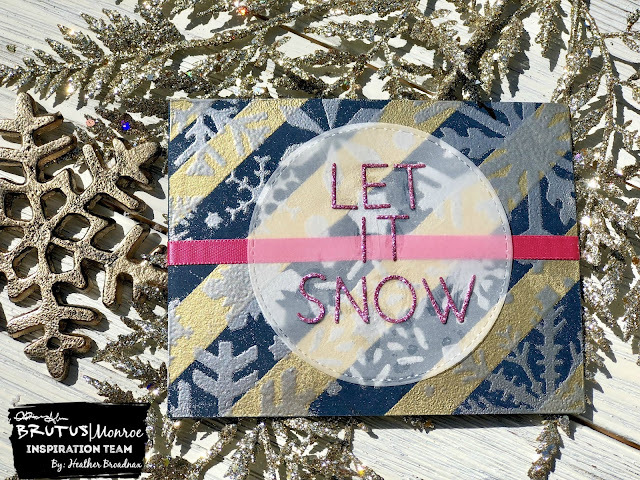 It is ok if you get it on the tape that will be removed after the embossing powder is heat set. Now for the magic...adding Gilded embossing powder and heat set it with the Wagner heat tool. After removing the tape strips I used an antistatic powder bag over the entire panel and secured the snowflake stencil (definitely one of my favorite stencils ever!). 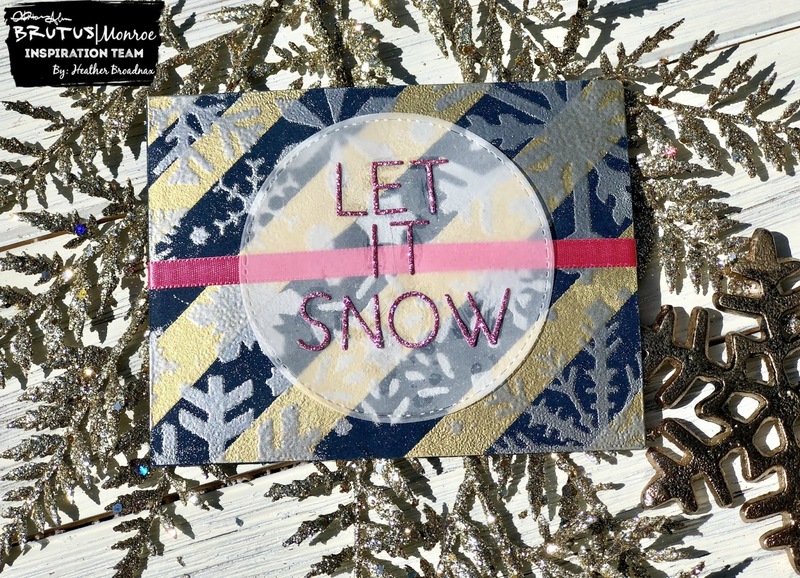 Using the same clear embossing ink to paper technique I then added Sterling embossing powder to the snowflakes. Don't be afraid to put the clear embossing ink over the Gilded lines, the sterling will heat emboss directly over it without damaging the gold. To add the sentiment I cut the words "Let it Snow" using Brutus Monroe Upper Case Alphabet Dies cut from watermelon glitterstock. They were glued to a piece of vellum cut using Circle Foundation dies and placed in the center of the card panel. To add a final touch I used a piece of ribbon from the June subscription box. 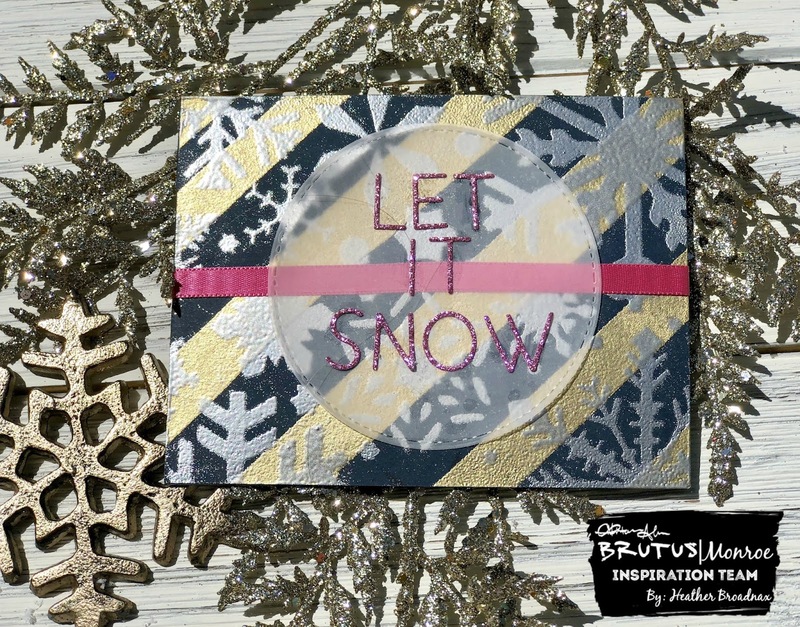 I hope this card started your creative mind thinking of the many fun ways that you can layer embossing powder. Don't forget to show us what you create! 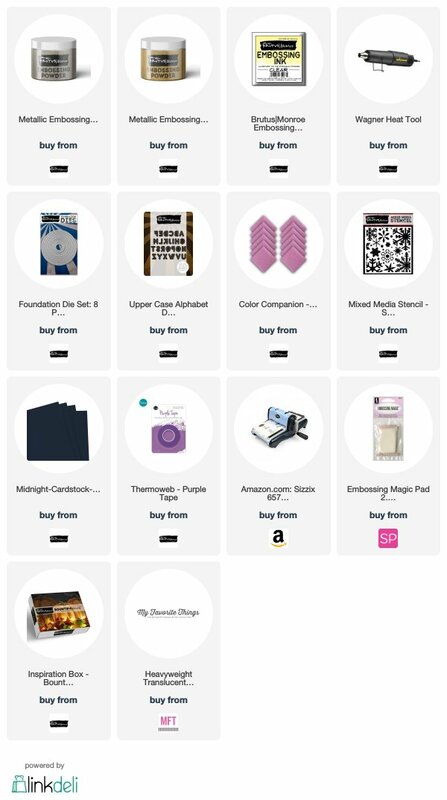 We love to see the amazing ways you use our products! Tag us using #createyourownending #brutusmonroe or post in our Fan Club Facebook group found here.